If you have slow pc you can confogure client to maximum perfomance. Set particles to minimum or disable it. 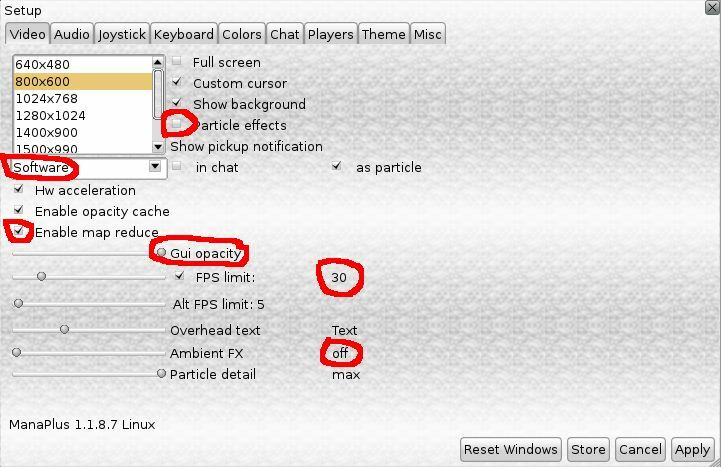 Set fps limit to low value like 30 fps. Set resolution to not very big value. You can try set opengl mode to “safe opengl”.